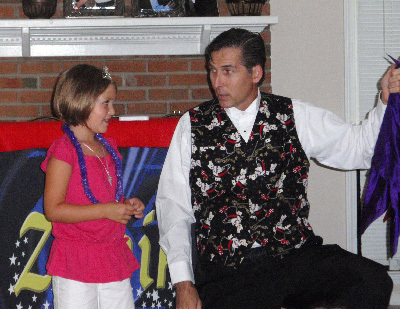 Make your child’s birthday a memory that will last a life time with your favorite Charlotte birthday Magician. Your child will take center stage as he or she gets to help with all of the child participation magic! 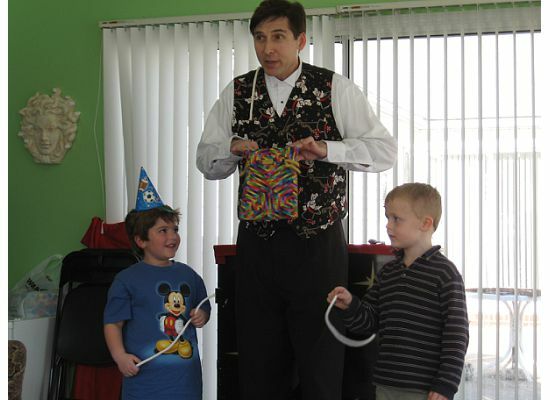 Kids love magic and a magical birthday is just what will make it extra special. Everyone attending the party, children and adults, will love the show. This may be the best Charlotte birthday party ever. What do children love? Stories, laughter, and being involved. The deluxe package is a 45 minutes show full of story telling, comedy and audience participation. The Birthday Child gets his or her own magic kit, the birthday child has his or her picture taken with Zelnik and has it turned into a special poster and to conclude the show Zelnik will suspend the birthday child in mid air. 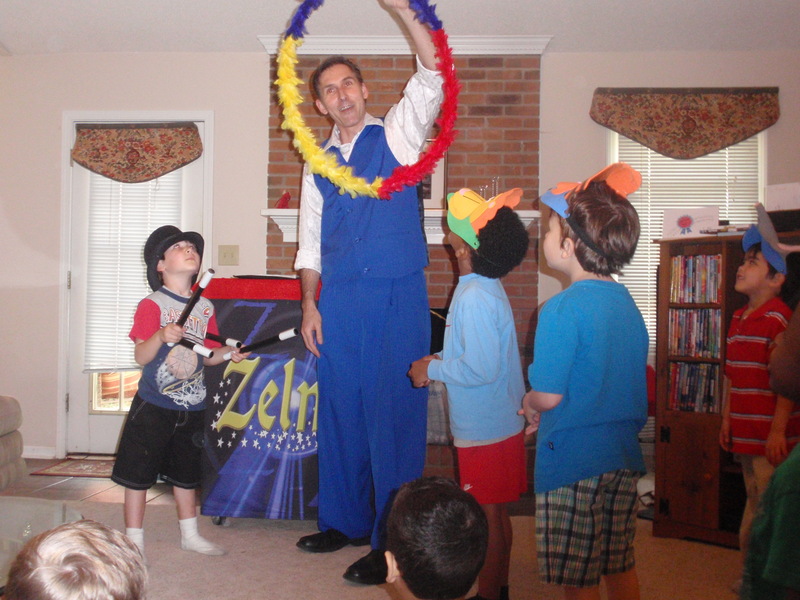 Sit back and relax while the children get to help Zelnik make the magic happen. The whole group gets involved and the fun doesn’t end until the show is over. The same 45 minute show without the extras. Just stories, comedy and magic. Let everyone take home a little magic. Included in the goody bag is a magic wand, instructions for seven magic tricks for the magic wand, coin slide (to make a quarter or nickel disappear), a card trick, and a fortune telling fish.